For those of you unfamiliar, Serendipity3 is a famous restaurant in New York that features and serves the beloved Frozen Hot Chocolate Dessert. 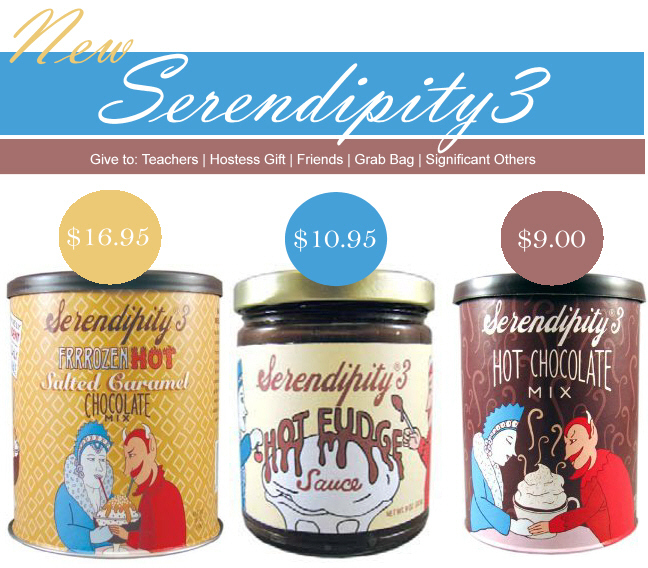 Now Serendipity has come out with 3 brand new products, just in time for the holidays! Select your product of choice for the perfect gift! Any of these items are great for teachers, in-laws, significant others, hostess, grab bag, and just a convenient item to have on hand while entertaining during the holidays! The best part, Serendipity items won't break the bank! All of their products are affordable and delicious. A gift you will never regret giving OR getting!